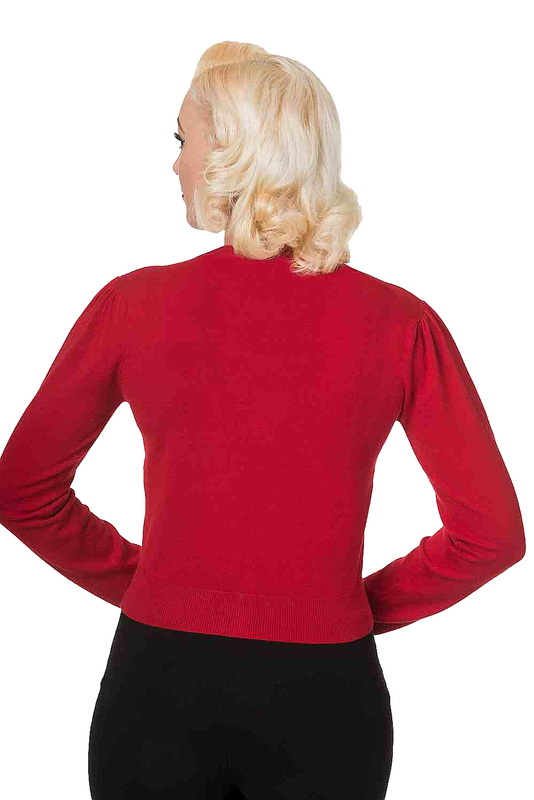 We present the stunning Banned Red Vintage Perfume Cardigan in UK Sizes 10-16. 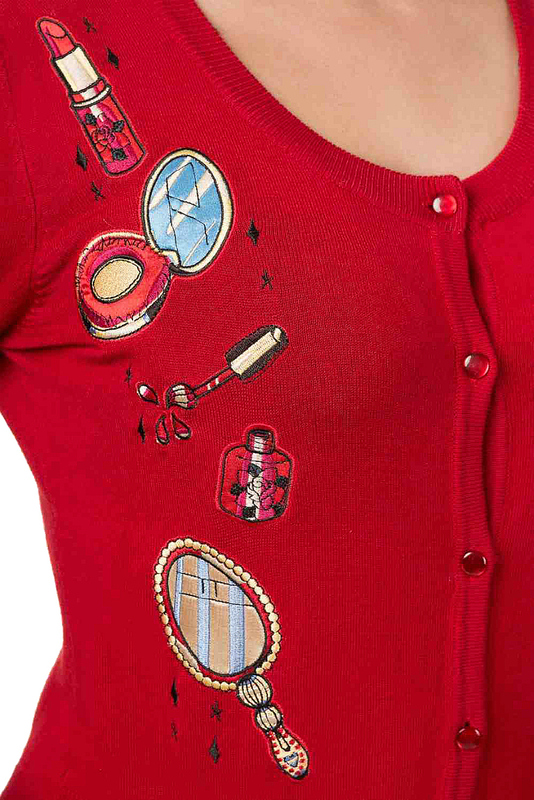 An ultra-feminine retro cardigan which features long sleeves, a super feminine embroidered theme which comprises of vintage perfume bottle, nail varnish and lipstick. It's finished with a scoop neckline and cosy long sleeves. This soft red cardigan boasts matching buttons and wearing this cute cardi will ensure you never ever have a dull day. 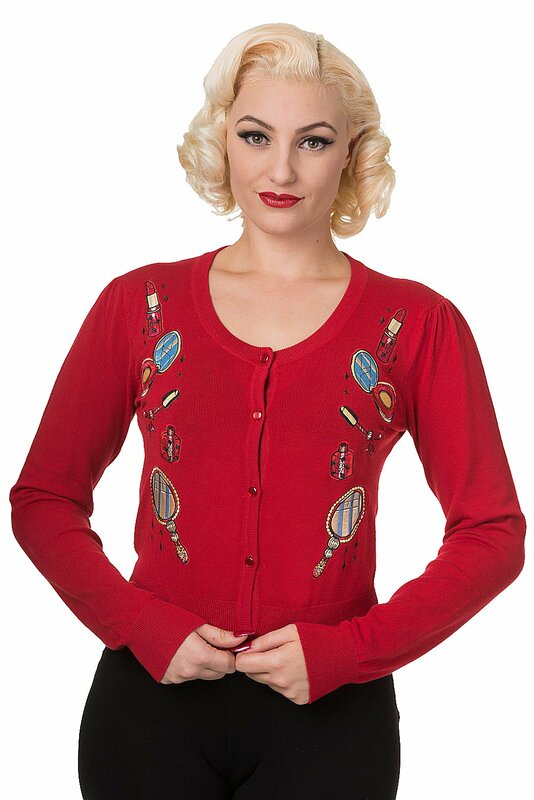 The scooped neckline ensures a vintage theme and the Banned Red Vintage Perfume Cardigan is crafted from a high quality fabric with stretch and is a delightful statement piece for Vintage Gals! If you're looking for a special cardigan with a vintage twist for your next event, then this Banned Pink Lovehearts cardigan will entice envy and admiration and is oh-so on vintage trend for the season!